The smell of shredded green mangoes and grated ginger enveloped my 7 ft x 10 ft kitchen, as it cooked down to a crystalized concoction stimulated by the addition of heaping tablespoons of cane sugar. 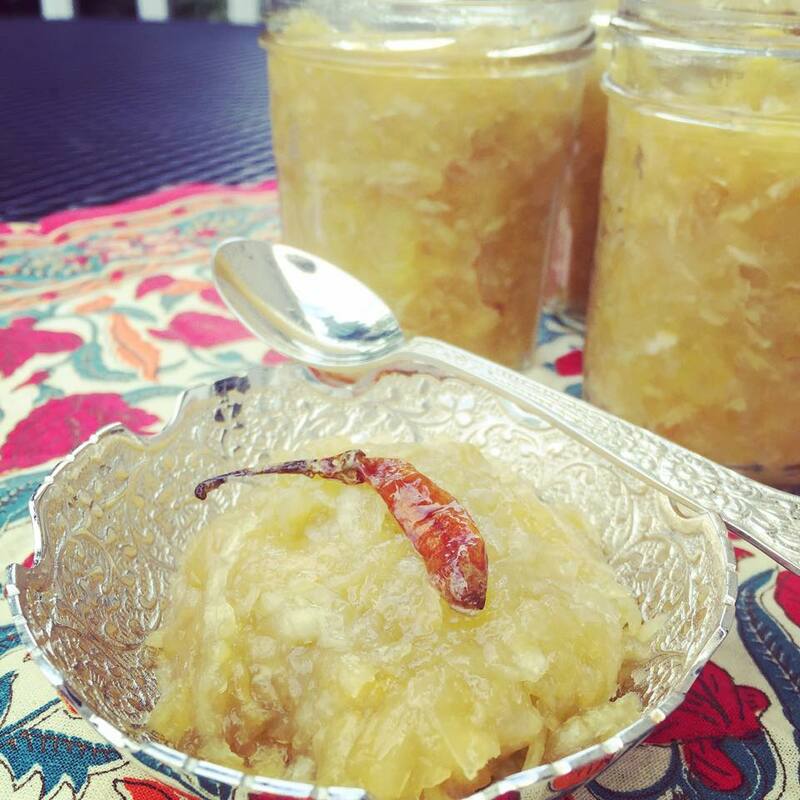 My right eye was burning, the fingers that touched the dry red chillies had also touched my eye, but the little spark of heat was indispensable to the chutney. I added a handful of golden raisins to the mix and as I watched them slowly plump up, I thought about the time that this chutney traversed the Atlantic with me. Of all the memories weaved during my last visit to Kolkata, a plastic PearlPet jar filled with this sunset yellow chutney, cooked by ma, is closest to my heart. Categories: Something Sweet, Vegetarian | Tags: green mango chutney, indian condiment, mango chutney, sweet mango chutney | Permalink.